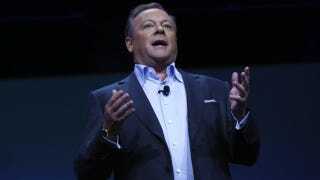 The head of PlayStation in the U.S., Jack Tretton, has stepped down, the company announced today. His last day will be on March 31. Shawn Layden, who is executive vice president and COO of Sony Network Entertainment International, will take Tretton's position as of April 1. "This is a result of a mutual agreement between Mr. Tretton and [Sony Computer Entertainment America] not to renew their contractual relationship," Sony said in a press release. 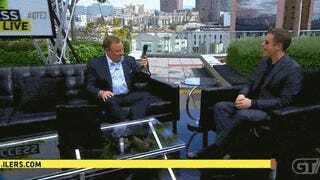 Tretton had been with Sony since 1995, and he'd been president of Sony's American division since 2006. "Working at SCEA for the past 19 years has been the most rewarding experience of my career," Tretton said in the statement. "Although I will deeply miss the talented team at SCEA and the passion demonstrated every day by our fans, I'm very excited about starting the next chapter of my career. I want to thank the employees, partners and customers for their tireless commitment to the PlayStation brand and, of course, to our fans who have pushed us to new heights of innovation and entertainment over the past two decades. I leave PlayStation in a position of considerable strength and the future will only get brighter for PlayStation Nation." Tretton also posted a message on the PlayStation Blog this afternoon. "We've shared many memories over the past two decades," he wrote, "and I'll always be grateful for your support." Layden, Sony America's new boss, was a top executive in the company's international digital entertainment division. He has been at Sony since 1996, and speaks fluent Japanese.